Bioware’s Anthem is now just a few months after from the February 22nd, 2019 release and the public demo, scheduled for February 1st, is even closer. In an interview appeared on the latest GamesTM magazine (issue 205), Anthem Director Jonathan Warner stated that it was kind of a refreshing experience to focus on gameplay first with this game, whereas pretty much all of Bioware’s previous titles were heavily story based. Yeah, it is, it’s very refreshing, it’s invigorating. And usually, when you talk about a Mass Effect or a Dragon Age, people invariably end up talking about the plots or the points, and it’s very refreshing, when people talk about Anthem, they talk about flying or fighting monsters, or the gear, the Javelins, and it’s been a great opportunity for us to put gameplay first. That doesn’t mean you won’t find a compelling story with interesting characters in Anthem, though, as Warner is quick to add. It’s very important to us that we create immersive worlds, where you can have companionship, and where you get to be the hero of your own story. I think those elements are very much intact with Anthem. We’re adding things to it, we’re adding these interesting social storytelling elements to it. But, those moments, that companionship and strong characters, those are very much there. Being a game-as-a-service type of experience, the success of Anthem will likely depend a lot on how quickly the developers are able to react to user feedback from the demo onwards. 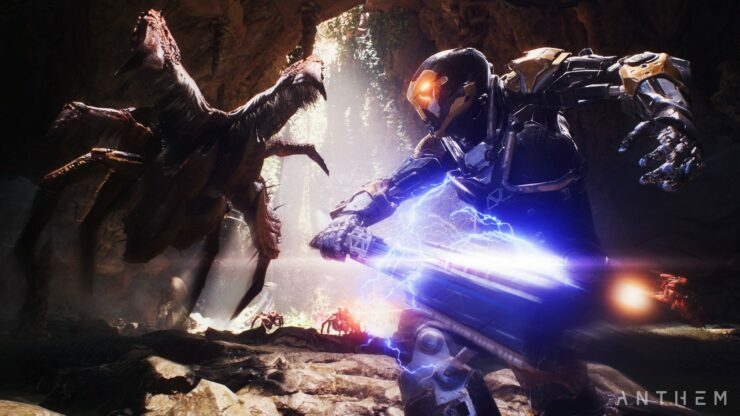 Warner agreed and said the developers will provide several reasons to entice players to keep playing Anthem. We’re looking at it as kind of a holistic experience, and making sure that we’re paying attention to, and doing things that will engage players across the board. Everybody’s got kind of a different motivation. Providing lots of interesting reasons to come back.